a “credible” challenge to Clinton for the party’s nomination. The swirl of controversy surrounding Clinton has not only called her inevitability into question but also given much of the media an excuse to focus on optics rather than policy coverage, which is just one of the reasons O’Malley’s emergence is a positive development. A contested Democratic primary will be good for the country, good for the party, good for democracy and good for driving issues that might otherwise be ignored into the election. While he sees a path to the nomination, O’Malley understands that it will take a lot more work to shed his underdog status. After a poll showed him cracking double digits in a potential matchup against Clinton, O’Malley quipped, “Am I really up to 11 percent? Who did this poll? 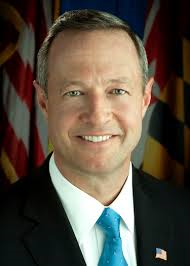 Was this my mom?” Regardless of his chances, though, O’Malley can make the 2016 election a much better race. Contested primaries are good both for the presidential contenders and for the country. Most Americans have little time to pay attention to the news or to political debates in Washington. Primary battles have the potential to catch fire and engage a broader citizenry. The media broadcast many of the debates. Activists can be roused. A credible challenge, whether from O’Malley, Sen. Bernie Sanders (I-Vt.), former Massachusetts governor Deval Patrick, former senator Jim Webb (Va.) or Warren, could help engage and excite Democratic voters. And it could force Clinton to more boldly address vital issues such as income inequality, climate change and the war on organized labor, while helping ensure that her inevitability doesn’t look like entitlement. As I've said before, the notion that contested primaries are bad for a political party's eventual nominee is not well-founded. In 2008, the contested Democratic nomination resulted in increased Democratic registration, mobilized the grass roots and made candidate Barack Obama a much better candidate. To the converse, people point to Mitt Romney being weakened by a divisive GOP nomination process in 2012. I frankly don't accept that premise about Romney. The GOP primary process, as ugly as it was, still made Romney a better candidate. Better though, doesn't mean he wasn't a deeply flawed candidate. In an increasingly populist era, the Republicans managed to nominate about the only candidate who could have made the elitist President Obama seem like a common, many of the people. The sad part in America is the idea of credibility of a candidate is the ability to raise money. Hillary Clinton certainly has a lock on the Money given all the favors Bill Clinton dumped on Wall Street. The Mega-Media especially MSNBC has all but crowned Hillary with the nomination. This same Mega-Media will do all it can to marginalize her opponents. There is a section of the Democrat Party that is ABC (Any But Clinton). Monied interests will donate to any viable candidates. If this guy has a real shot he won't get ignored. Businesses aren't stupid - they won't put all their eggs in one basket. But Having Bill Clinton by your side is a huge advantage out of the gate. If you're going to just make personal attacks against me and not write commenting about the articles I publish, I'm not going to publish your comments. As far as your claim I'm a suspended attorney, I'm not suspended. I went on inactive status on October 1, 2014 because I didn't want to practice anymore. I am inactive, in good standing As far as your claim that the Indiana Supreme Court rejected my free speech claim, maybe you should actually read the decision which was about a 90% victory for attorneys who wish to criticize judges. The Disciplinary Commission's Executive Director was left with egg on his face because of his ridiculous prosecution.